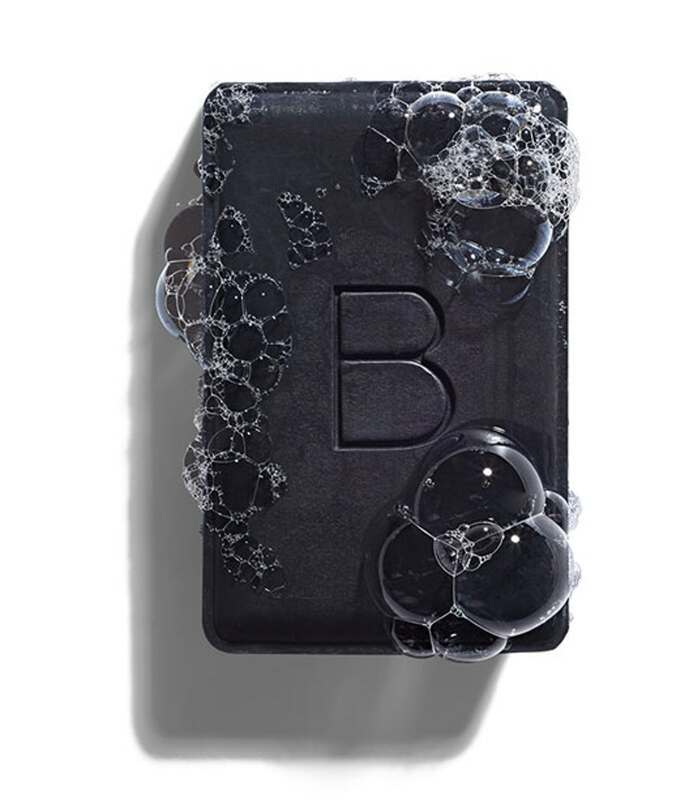 DermalQuench Liquid Lift blasts oxygen into the skin. 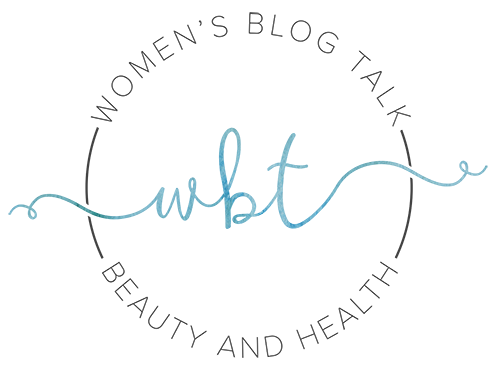 One of Kate Somerville’s most popular spa treatments is the DermalQuench Liquid Lift Advanced Wrinkle Treatment which is an oxygen treatment. Basically what it does is infuse oxygen, moisture, and vitamins using a hyperbaric pressure system. The oxygen is used to help push the other ingredients deeper into the skin where they can do the most good. Unfortunately we can’t all get to or afford Kate’s spa treatments. But now there’s DermalQuench Liquid Lift Advanced Wrinkle Treatment to emulate it twice a day right at home. 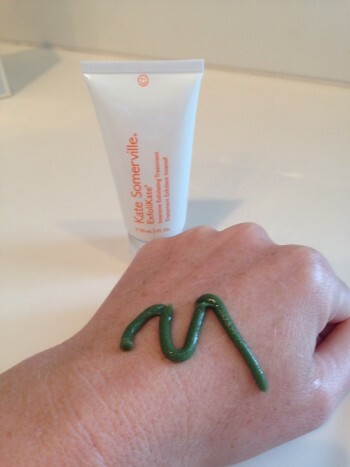 83% of women saw a dramatic softening and smoothing of the lines on their face after 2 weeks. Clinical instruments measured a 30% increase in moisture after one use. 90% of women reported an improvement in their skin’s overall appearance. And there are plenty of anecdotal reports from women saying that DermalQuench Liquid Lift Advanced Wrinkle Treatment just makes their facial muscles relax, their elasticity return, and their skin look flawless. PFC-Oxygen Carriers to draw in oxygen and relax facial muscles. It also gives you kind of a flushed look and feel like you’ve just been exercising. Hyaluronic Acid to plump out lines and wrinkles while provided an abundance of moisture. Botanical Extracts, including Lavender Oil, to increase skin’s radiance and give you an healthy and even tone. Retinyl Palmitate, a form of Vitamin A and ester of Retinol, accelerates cell renewal and stimulates collagen in the skin, thereby reducing wrinkles and fine lines. Due to its anti-oxidant properties, it is also a great anti-aging ingredient, and helps promote a softer smoother skin. 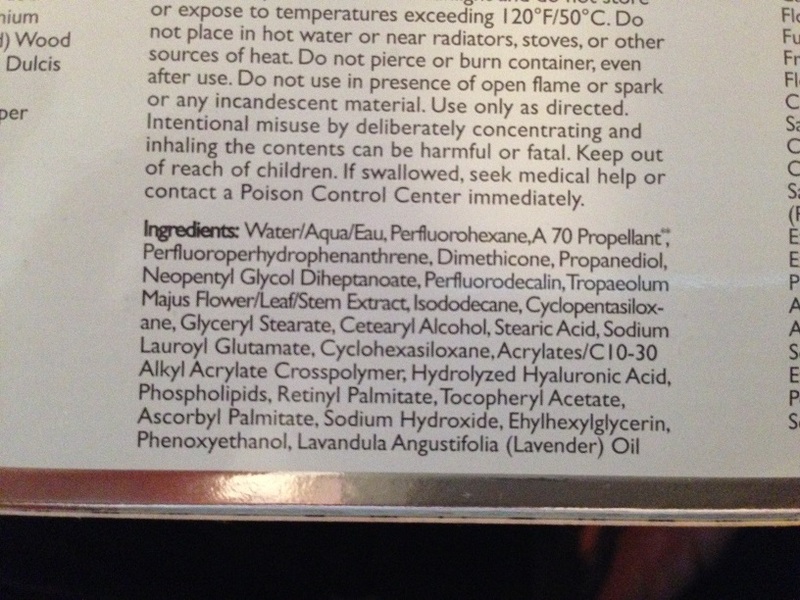 While not an actual ingredient, the bottle and how it works is a big part of the process. DermalQuench Liquid Lift Advanced Wrinkle Treatment comes in a metal lined can to which you attach an included dispenser wand. You shake the can vigorously and apply the foam to your face in stripes along your cheekbone and forehead, and then you massage it in. You should see an instant smoothness and relaxation of facial muscles. And over the long term, wrinkles and lines disappear as skin’s texture is improved. Today I posted a video review of my trial using DermalQuench Liquid Lift. 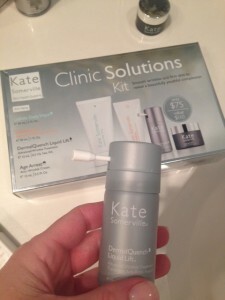 This product was one of four of her signature treatments within the Kate Somerville Clinic Solutions Kit which I purchased at Sephora for $75. 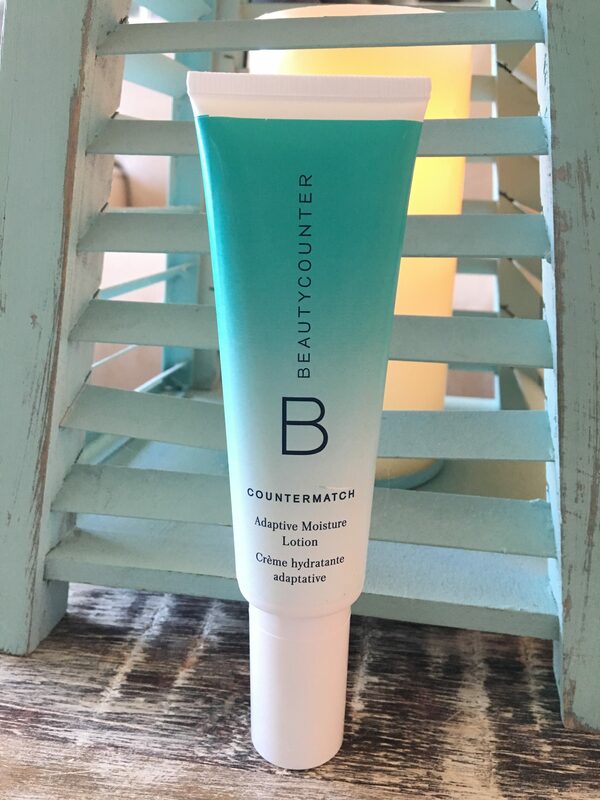 It came with a small bottle of the DermalQuench Liquid Lift, Gentle Daily Face Wash, ExfoliKate Intensive Exfoliating Treatment, and Age Arrest Anti-Wrinkle Cream. I put two stripes on each cheek, and one strip across my forehead which is what the directions say to do. Like all of the other products in this kit, it has a lavender scent and has a frothy, bubbly texture going onto the skin and rubs in nicely and absorbs quickly. However, since I was already a little irritated from the ExfoliKate, adding the DermalQuench aggravated my condition and caused a bit more redness and flushing, which is one of the known side effects of this product, but if you like that “fresh from yoga look” then you may like that side effect. 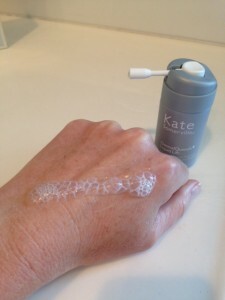 Like all of the products within the kit (and most of Kate’s products), DermalQuench Liquid Lift includes botanicals, which can be irritating for sensitive skin. 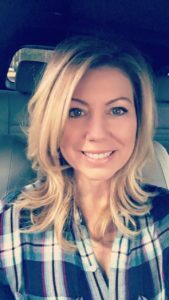 I did enjoy the liquidy and bubbly consistency of DermalQuench Liquid Lift, and it “feels” like it’s working, after all your blasting your face with oxygen infused with well known anti-aging ingredients which hydrate. 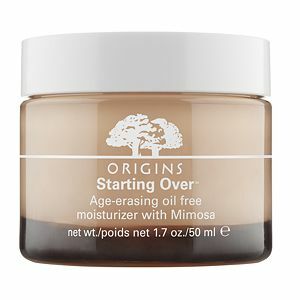 I will say it did work very well to moisturize and plump up my skin and if it did what it’s supposed to do, it allowed my anti-aging moisturizer to penetrate more deeply which is one of the benefits of this product. What I’m a little shocked by is that the kit came with a 0.5 oz container and the large size is 2.5 oz, and after just three days of use (six applications), my small bottle is almost gone! I can only imagine that the large bottle would only last a couple of weeks, and at $95, that’s quite a large price tag. There are lots of unfavorable DermalQuench Liquid Lift Advanced Wrinkle Treatment reviews from customers who’ve been disappointed after seeing no improvement. You can get DermalQuench Liquid Lift Advanced Wrinkle Treatment through lots of different sources. Online retailers, including the Kate Somerville website, sell the 2.5 ounce dispenser for $95. Locally, you can pick it up at Sephora or Nordstrom for the same price. 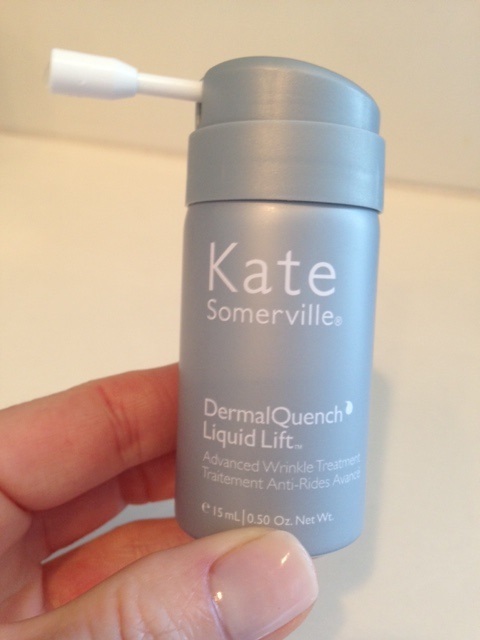 Kate Somerville’s DermalQuench Liquid Lift Advanced Wrinkle Treatment is a popular spa treatment customized for everyday use at home. The reviews are very mixed, which is usually not the best sign, and I experienced redness and flushing probably as a result of the botanical extracts which can be irritating for sensitive skin. 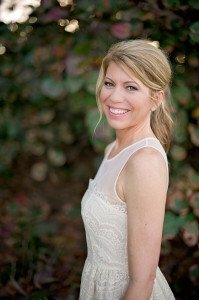 There is also some worry about what oxygen treatments might do to your skin in the long run. While it did work well to hydrate my skin and plump up some wrinkles, Dermal Quench Liquid Lift Advanced Wrinkle Treatment is very expensive and doesn’t seem to last too long, so unless you’re really curious about the new technology (for which we wouldn’t blame you), we wouldn’t recommend buying this. I’m glad that I was able to try four of her products in the Clinical Solutions Kit for $75 prior to throwing down half my paycheck on the full-sized quantities. Have You Used DermalQuench Liquid Lift Advanced Wrinkle Treatment? Leave Your Review Below!